Hello dedicated and lovely people who care worldwide! Here is an update on recent grants and appeals. The least we can do is support the dedicated groups on the ground giving love, solace and care on a daily basis. 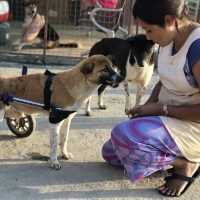 It is an absolute delight to help them, will you join us if you can? PFA Agra rescued 84 surviving buffaloes in two very difficult situations. Sadly this is not an isolated occurrence but every rescue is a victory against abuse! Read more on our facebook page. The only solution is a dairy free diet! Thank you to all who do not consume milk from animals who all ultimately suffer. Camels when old after a lifetime of "use" are sold off to the meat market. 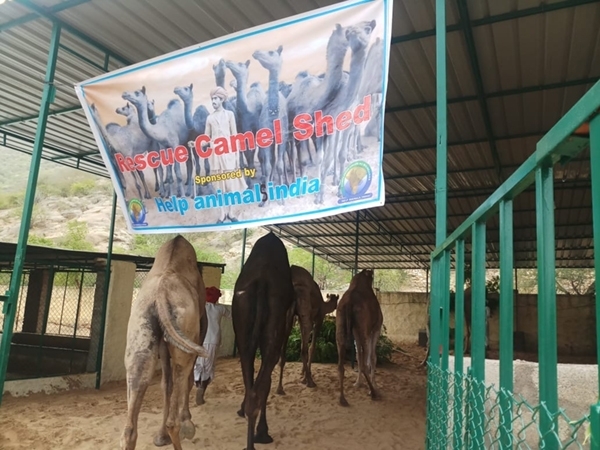 PFA (People for Animals) Sirohi in Rajasthan cares for hundreds of them and Help Animals India donors just built a shed for the most vulnerable, elderly or infirm to protect against the elements! 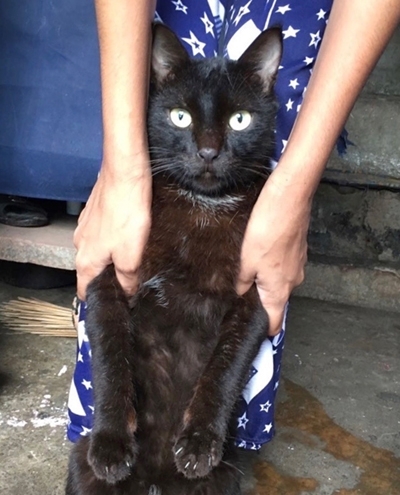 The spay/neuter/vaccinate project for CUPA Bangalore owned and street cats continues with the third grant to help 300 cats tp prevent unwanted kittens to being born to suffer and die. Cats continue to multiply and rescuers are busy educating people how to do TNR (trap/neuter/release) and not to add to the problems that abandoned cats face which include being caught by the gypsy trade for meat! We get many requests for help for cats, please help us fulfill more if you can! Gopala (left) just another male calf left over from the milk trade found abandoned in the summer heat on the Bangalore streets. A week old baby abandoned on the street! Gopala was abandoned by the owner to fend for himself. There are many such calves separated from their mothers. These calves are helpless when get injured, dehydrated and starved. They are most often sold off for about $4.00 (300 rupees) to the butchers or others are abandoned on the roads and eventually end up at the butchers. Unwanted male calves are sold within days of birth which also brings into trend the consumption of veal. Want to help Gopala in sanctuary for life? Please donate for his support! Want to help prevent situations like this, refuse cow's milk and drink satisfying and healthful plant based milk instead. 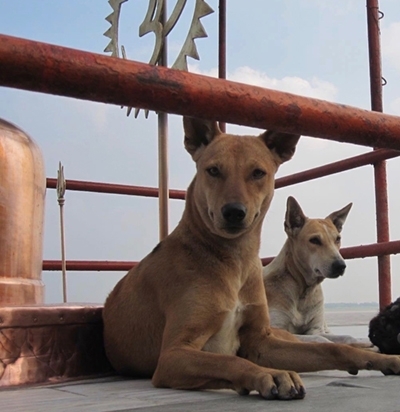 Varanasi community dogs - learn more about India’s dog "streeties." Most of the groups do ongoing ABC (spay/neuter plus rabies vaccination) for dogs. 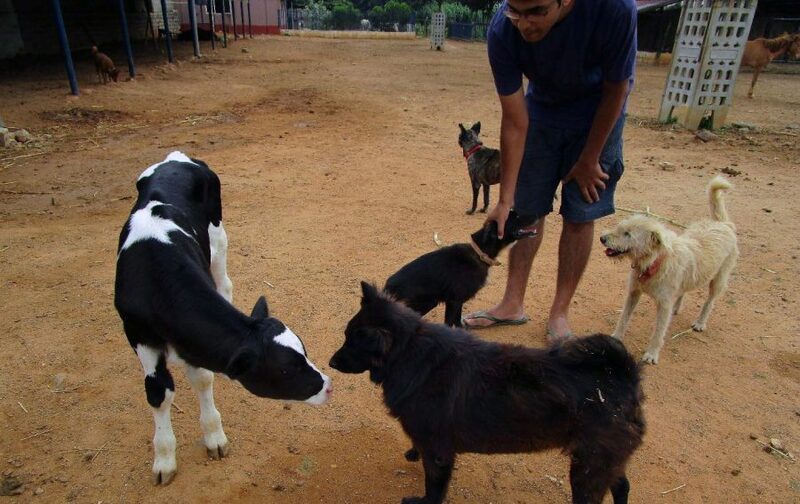 Every month our Varanasi for Animals Project performs well over 100 ABC operations to greatly help the dogs. Ongoing daily rescues as well, please lend your support. Gowri (L); Aneesha (R) best friends now! Inset: one of Gowri’s remaining teeth. 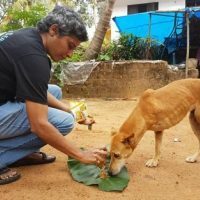 We can't help but mention newly rescued Gowri once again. In captivity elephants do not get the proper diet and she has, alas, lost another tooth so special food is prepared. But she continues her great friendship with Aneesha. Their wild existence was stolen from them, when they were trafficked into captivity. Alone, afraid and abused, the decades they spent in commercial captivity have left their mark both physically and mentally, with scars that may take years to heal. The best we can do, is to love them, care for them and give them the best chance we can at a chain-free life, and advocate strongly to ensure that no other elephant from the wild shares their fate, and others in commercial captivity get a second chance. 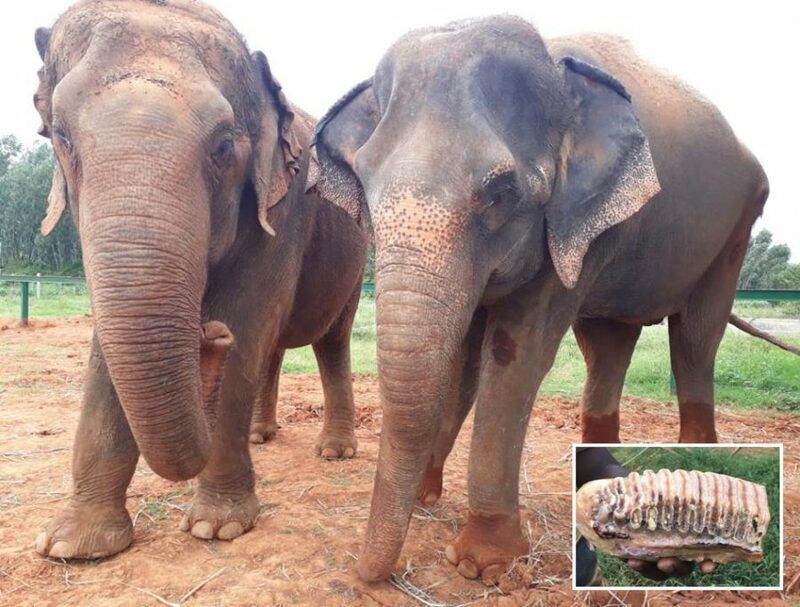 They are both darlings, do visit them south of Bangalore if in India and help contribute to their and other elephants care and elephant advocacy if you can! 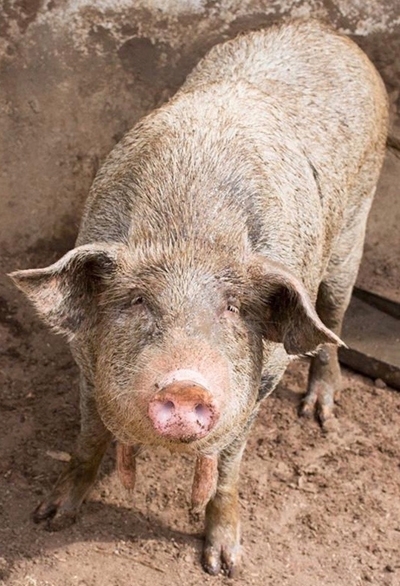 It is so sad that intelligent pigs are the most disrespected and neglected animals in India.